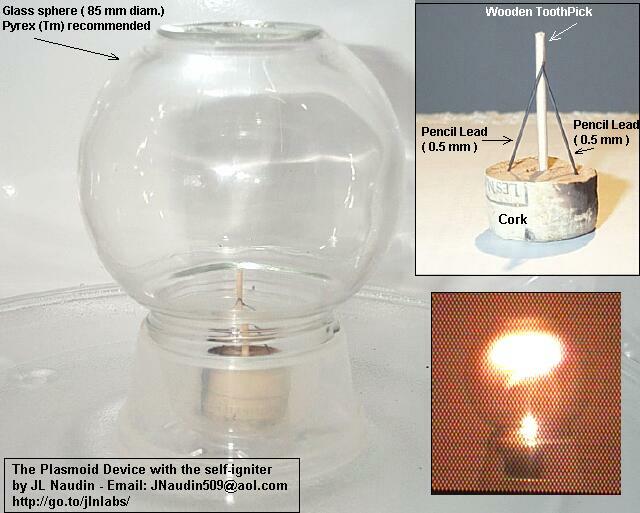 The purpose of this new Plasmoid experiment is to find a simple setup which doesn't need the pre-ignition of the wooden toothpick with a lighter. This new enhanced setup uses a new design for the igniter. Two pencil leads ( 0.5 mm x 20 mm ) have been added and placed as shown in the picture below. The pencil leads must be in contact with the wooden toothpick. 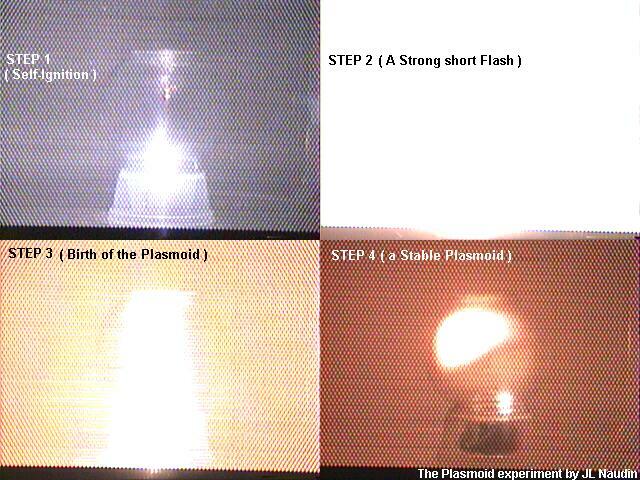 With this new enhanced setup the plasmoid generator is able to self-ignite without a lighter. 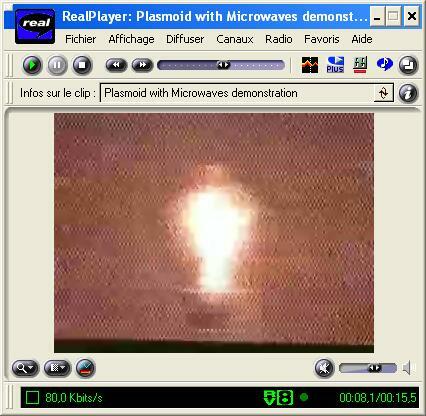 1) When the microwave oven is switched on, some brillant and white flashes are sent silently by the new igniter during about 5 seconds ( STEP 1). so check it after a short test run and let it cool a bit. 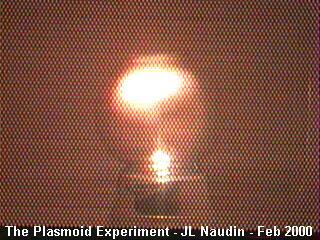 Conduct all your tests in a well ventiled area because the plasmoid generates NO2. 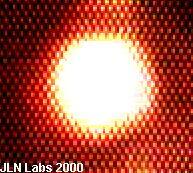 A sound analysis of the plasmoid "humming" noise has shown that its frequency is about 193 Hz.